After almost eight hours we finally reached the top of Mt. Ramelau/Timor Leste. My work often brings me to countries in the tropics. Sometimes just for a few weeks. Sometimes for years. And while a high-tech knee is a great plus when it comes to being active and mobile, they soon hit their limits when water, sand, mud and rice paddies are involved. A simple backup option is needed. And often this can be done locally. As it was in my case, in Timor Leste back in 2009. Throw back to 2009. I had already been living in Timor Leste for more than a year. 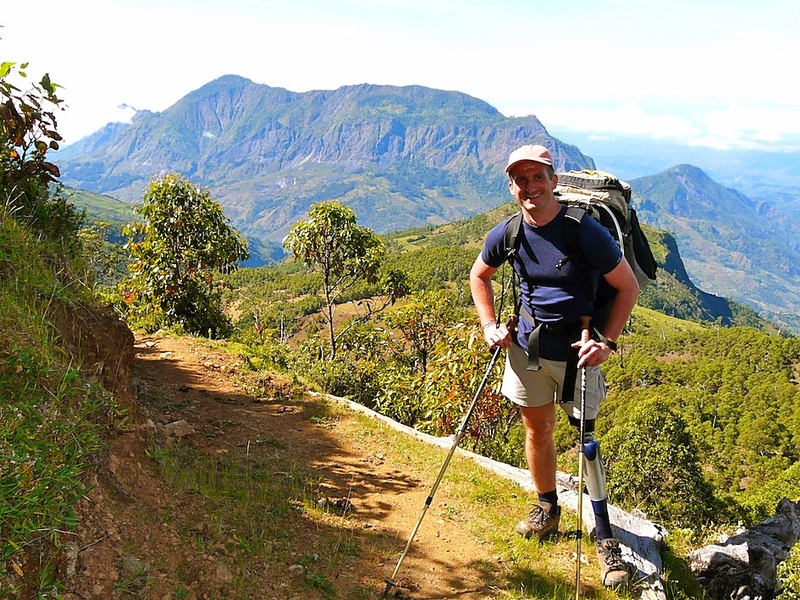 At the time I was fitted with a C-Leg. And I was happy with it. A great leg that allowed me to do most of the things I wanted to do - as long as there was no water or mud or beach involved. As I was living rights next to the sea with the most amazing corral reef less than one hundred meters off-shore and only a few meters below the surface, as my work sometime demanded that I cross streams and rice-paddies many of my days involved a lot of water and mud and beaches and all kinds of situations that the C-Leg did not like. So I started to look for an alternative to my high-tech knee. And it didn‘t take long before I actually found one. Right then and there. In Dili, of all places. It all started when I talked to the people from ASSERT, a local organisation that assists people with disabilities. They also produce simple artificial limbs. As I still had an old diagnostic socket, they used it to build me a simple prosthesis. One that didn‘t mind the dirt and the dust, the beach and the salt water. Just what I had been looking for. When I wanted to pay ASSERT for their services they refused to accept any money. „We are a non-governmental organisation, set up to assist people like you. We never charge our customers for our assistance.“ My reply that I would love to pay them didn‘t make a difference. My plea that I didn‘t wan to take aways valuable resources from people who really need their service didn‘t chance their stand. They would not charge me. Full stop. After some time we agreed that they could accept a donation. „Great!“ I thought. That opened up a whole new ball game. Within seconds a new idea was born. Instead of just paying for the new leg - or donate what I should have paid -, I would come up with an event to raise funds for them. And awareness about their work. Some kind of sponsored activity was what I had in mind. And right that moment I started thinking about a challenge that I would love to do. And one that was interesting enough got people to sponsor me doing it. But more about that later. By the time I lived in Timor Leste, it was the youngest nation on the planet. The country is part of the same archipelago as its mighty neighbour Indonesia. After having been a Portuguese colony for hundreds of years, Timor Leste gained independence in late November 1975, only to be invaded by Indonesia nine days later. What was thought to be a snap annexation proved to be a long and drawn out struggle. It took almost 25 years before the people of the Indonesian Army withdrew, leaving the country devastated and finally gaining full independence in 2002. Living standards were generally low. And as in many other countries in the south, the situation for disabled people in Timor Leste were often difficult. Yet despite numerous challenges, there are many initiatives assisting people with disabilities, often run by small organisations: Starting from the production of artificial limps and hand-bikes over physiotherapy to efforts for social integration and economic empowerment – in all these areas competent people are active, showing immense commitment. 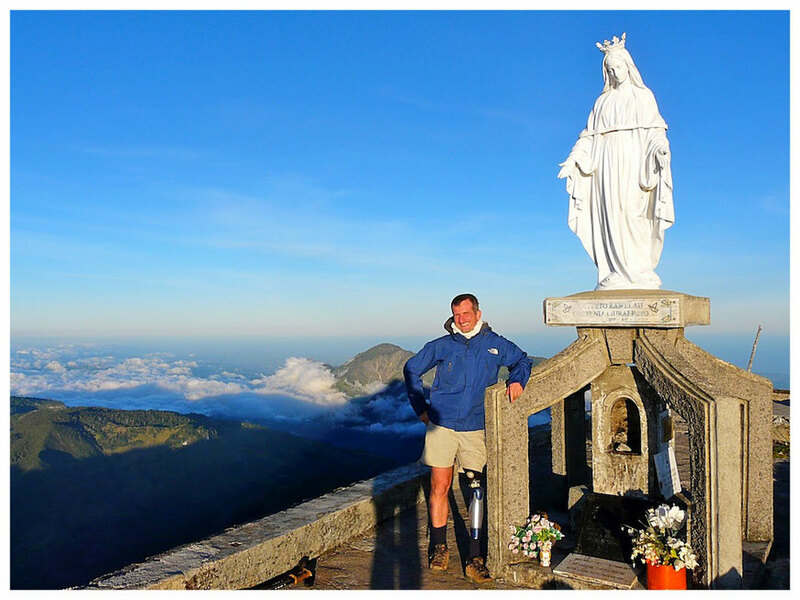 All through my time in Timor Leste I always wanted to hike up Mt. Ramelau, the country’s highest peak. With 2,963 meters it is exactly the same height as the Zugspitze in Germany, my country of origin. From what I knew by that time, the hike up the peak isn’t a technically very challenging one. The weather might be more of a problem. During the night and early morning hours temperatures drop to almost 0 degrees Celsius, while noon temperatures around 30 degrees are common – as are tropical rainstorms in the afternoon. Having lived in the country already for more than a year, I knew that a normal rain shower could turn walking tracks into slippery, treacherous mud traps within minutes. 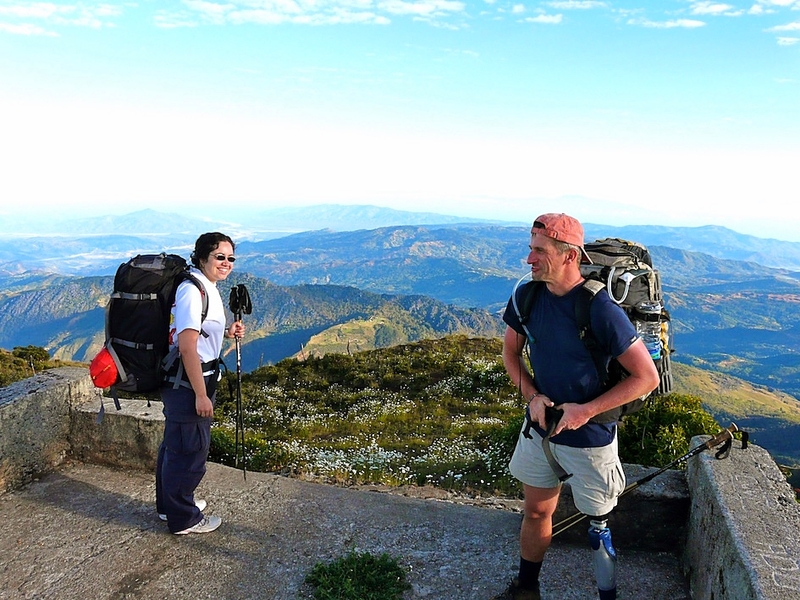 But all in all, I knew the hike was possible, even with a prosthesis. 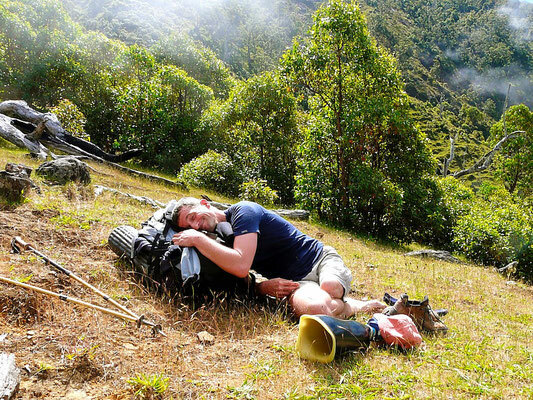 Even if I carry enough gear to spend the night at the top and only come back the next morning. And it sounded like the perfect challenge to raise money for three organisations that provide badly needed services to people with disabilities in Timor Leste. Once my eyes was set on this project, I needed to start get on top of the logistics. 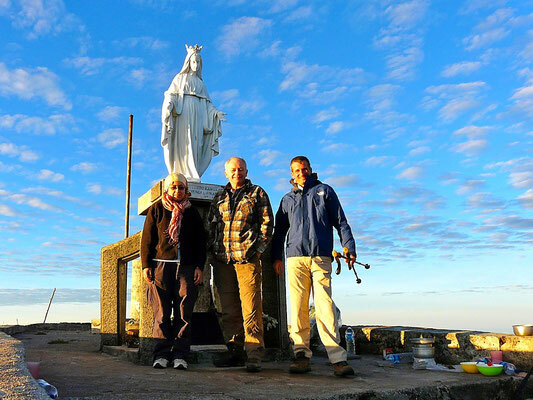 And I needed to start looking for people to support this idea; people who were willing to donate a certain amount of money if I make it up to the top of Mt. Ramelau and back again. My initial plan was to raise US$ 1,000.00. If I find ten people, who reach out to an other ten people each, and every one of them donates US$ 10.00, so my thinking, I hit my target. Within days I had people pledging this amount - and more. People I hardly knew took it upon themselves to go out, approach others, explain the idea and get more commitments. After a month we had pledges of close to US$ 7,000.00. With that amount of money on the table, I just had to reach the top. There wasn‘t much I could do about the weather. But I needed to be fit. And so each day after work, I packed my backpack with books, water bottles and other weights and walked trough the hills around Dili. And boy, that was needed. I wasn‘t fully aware how out of shape I was until I started these daily walks with 15 kgs on my bad. But with several weeks to go, I had enough time to get ready. And to find two people to join me on that hike. On June 21, 2009 Rob, Maria and I set off in the early morning hours to drive up to Hatebuilico, the village at the foot of Mt. 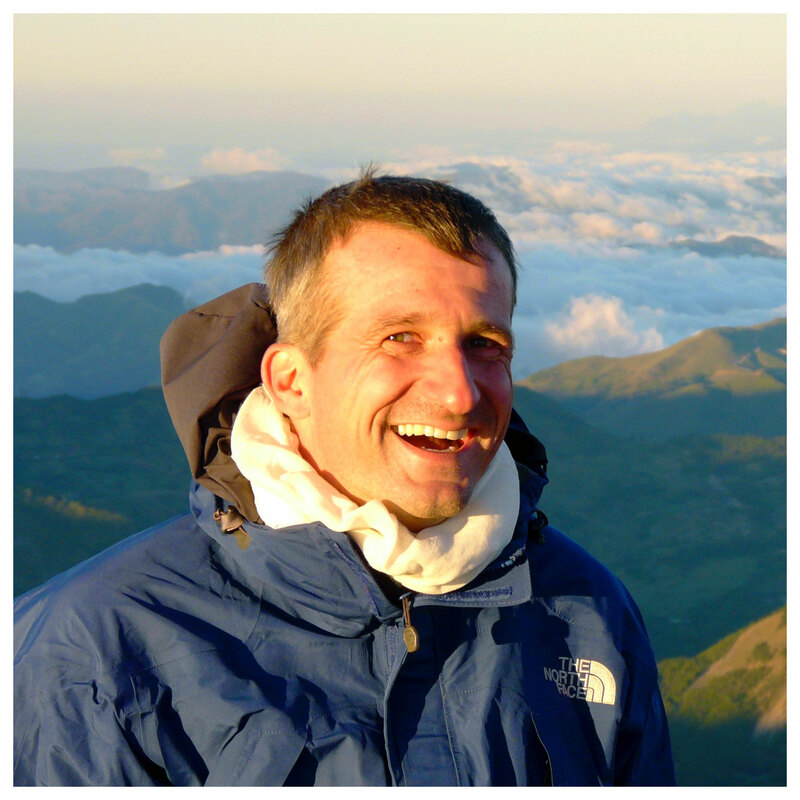 Ramelau (roughly 1,900 m). We had a quick snack, filled up our water supply and 8 o‘clock we were ready. Each one of us was carrying about 13 kgs of gear and provisions. While this sounds like a lot, it was actually mostly water (7 litres each) and a warm sleeping bag for the night. The ascent itself is - under normal conditions - not very challenging. But with gear to stay the night at the top, with just one leg and with parts of the path washed away by a landslide so that we had to take a detour, things became a bit more demanding. Including all the stops - and we had a few of them, enjoying the spectacular views as well as half a dozen chocolate bars - it took us almost eight hours to get to the top. While Rob and Maria still looked fresh and full of energy when we reached the top, I must admit that I was at the end of my tatters. 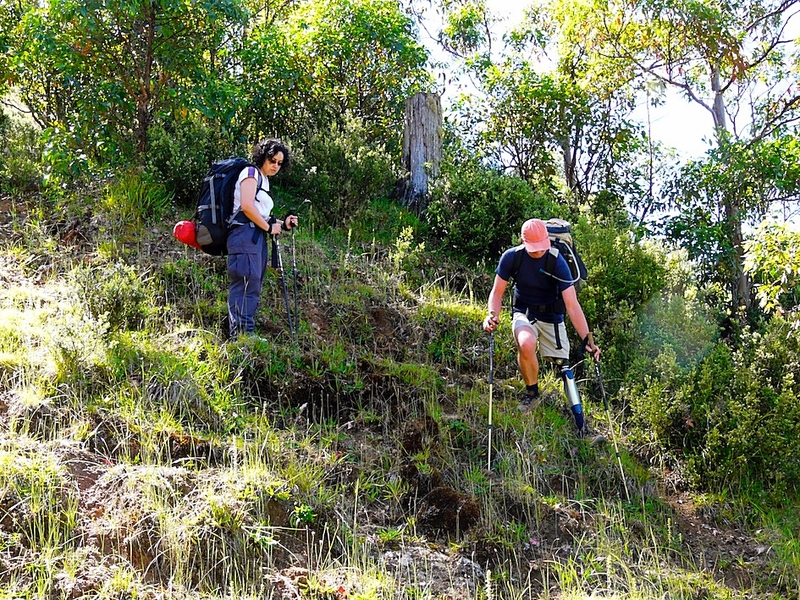 The detour through the dense vegetation and first down a steep slope into a valley before climbing up an even steeper slope on the other side took its toll on me. But despite the exhaustion, it felt amazing to sit at the top of Mt. 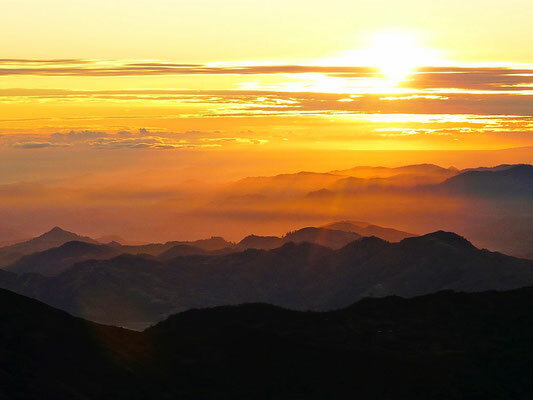 Ramelau, see Timor‘s north and south coast at the same time, watch a stunning sunset and warm up with a freshly brewed, steaming pot of hot coffee. Later in the evening, when I was already snuggled up into my sleeping bad, lying under the stars, it slowly sunk in: Rob, Maria and I had just raised US$ 7,000.00. And we had done so by doing something all three of us love doing; i.e. being out in the hills, walking, spending time in mother nature. What an amazing day. After a rather chilly night under the stars we were woken by an amazing sunrise. What a stunning setting for a breakfast. Full of energy, proud and happy as one can be, we started our way back down into the valley. And after three hours we reached Hatebuilico. A week later I was able to bring each of the three organisations participating in this sponsored walk their share of the funds. 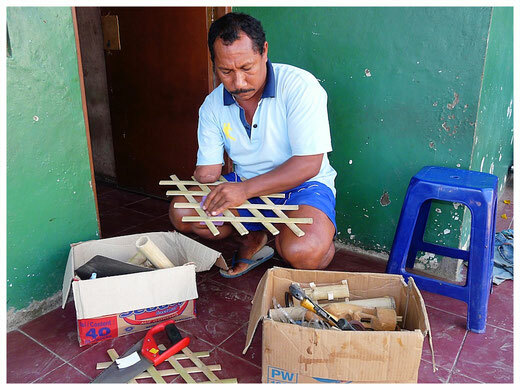 When it comes to producing artificial limbs, ASSERT was the number one address in Timor Leste. In addition, it provided physiotherapy and cooperated with the official state structures to improve the overall situation for people with disabilities. The money was helping the organisation to further train its team and increase staff capacity. The St. Francis of Assisi Workshop for Disabled People had been producing hand-bikes for years. 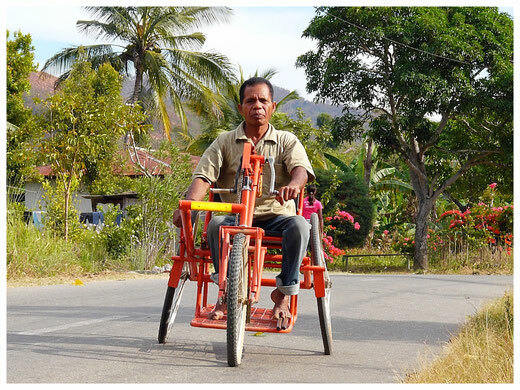 Situated in Aileu, a small city about 45 kilometers away from Dili it contributed enormously to increase people’s mobility and independence.The money was paying for the production of several new handbikes and enabled the team to replace some of the welding equipment. AHISAUN is an organization located on the outskirts of Dili. It lobbied for and actively supported the social integration of people with disabilities. In addition it offered sports activities as well as education and formation opportunities. The money was used to equip the kitchen of a new training centre the organisaiton had recently built in Dili to enable people with disabilities from the districts to attend its courses and benefit from its services. I left Timor Leste less than a month later. What a great way to say goodbye to this amazing country that had been my home for a year and a half.